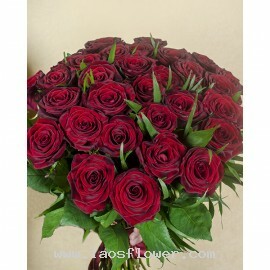 31 roses are beautiful as a large bouquet and it is best for the recipient. 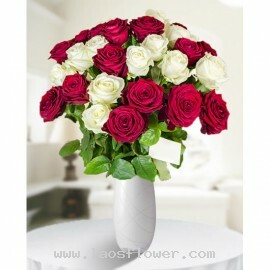 31 roses are beautiful as a large bouquet and it is best for the recipient and the giver. A vase of 31 red and white roses. We may use ceramic or glass vases. You can add a pretty bow to send as a gift on special occasions. * The color of rose can be changed such as yellow, peach, orange, pink, purple or mixed. Occasionally, substitutions may be necessary to create your bouquet due to..
A bouquet of 31 red roses wrapped in red paper and tied with a bow. You can choose the color of roses and wrapping when ordering or email us. Occasionally, substitutions may be necessary to create your bouquet due to the availability of certain flowers in various parts of the country. 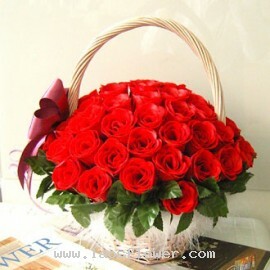 Substitutio..
Baskets of 31 red roses arranged in a round basket with handle. Decorated with red ribbon. The color of roses can be changed as you like. Occasionally, substitutions may be necessary to create your bouquet due to the availability of certain flowers in various parts of the country. Substitutions m..